Pharmaceuticals are expected to undergo a 4.92% price increase from 2018 to 2019, according to the July-August 2018 Drug Price Forecast from Vizient. That's actually a slowing from the 7.61% increase for 2018, AIS Health reported. Disease-modifying antirheumatic agents lead the way with an estimated 8.57% increase, followed by the immunomodulatory agents for multiple sclerosis, at 7.33%. 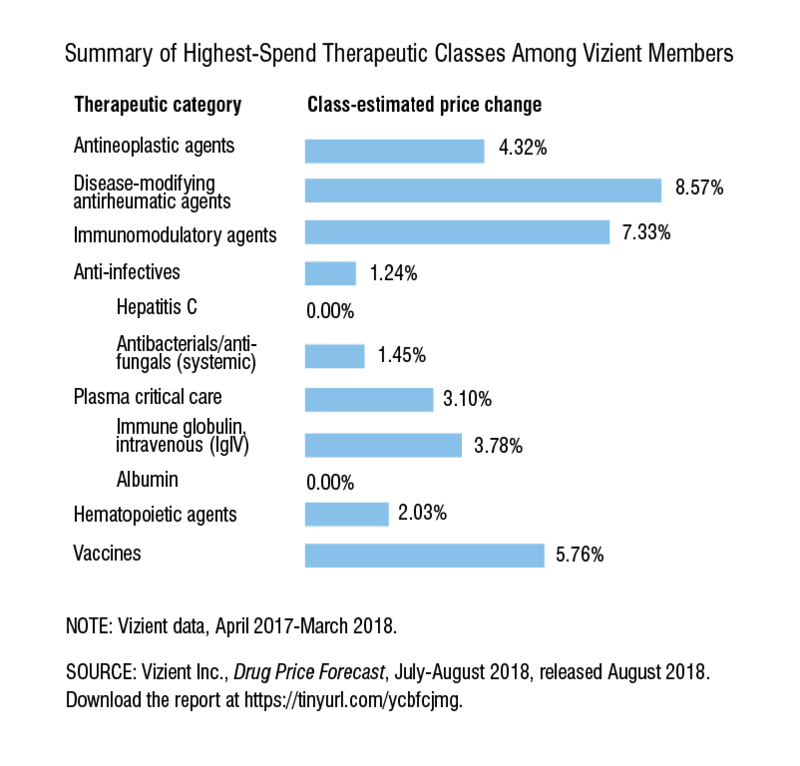 According to the report, "Based on the total amount of spend across care environments, the types of molecular entities approved by the FDA, and the investigational products in the development pipeline, it is certain that specialty pharmaceuticals will continue to play an increasingly important role in pharmacy budgeting."